Muskauer Park was the forerunner for new approaches to landscape design in cities, and influenced the development of landscape architecture as a discipline. 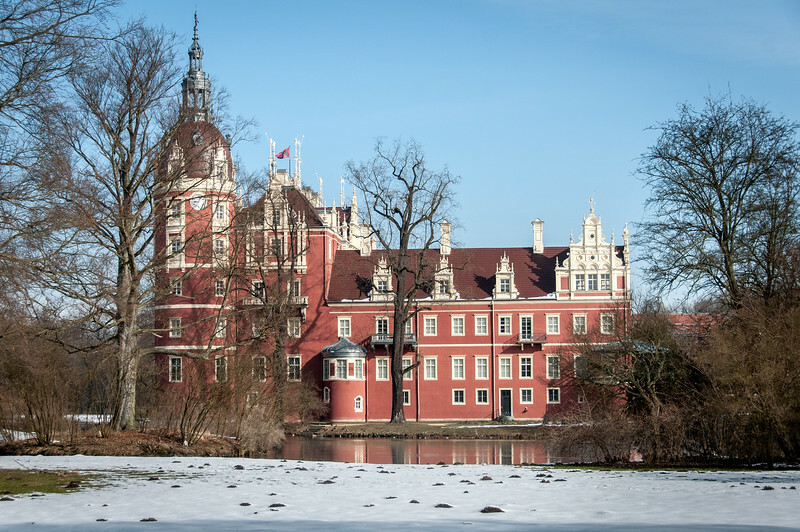 The site is the core zone of an extensive landscape park laid out by a leading European personality of the mid-19th century, Prince Hermann von Pückler-Muskau, around the New Castle of Muskauer on either side of the River Neisse, the border between Poland and Germany. The entire park extended around the town of Muskau and out into the surrounding farmed landscape. The area covers a total of 559.90 ha. Of this, 348 ha are within Poland and 211.90 ha within Germany. The park forms the starting point for an entirely different approach to the relationship between man and landscape. The design does not evoke classical landscapes or paradise or provide enlightenment to some lost perfection, instead, it is ‘painting with plants’, enhancing the inherent qualities of the existing landscape through embellishing its structures with trees, meadow, and watercourses, to allow the landscape to merge with nature. Pückler created an integrated landscape framework, extending into the town of Muskau. Green passages formed urban parks framing the areas for development, and the town becoming a design component in a utopian landscape. The structure of the Muskauer Park is focused on the New Castle, reconstructed by Pückler in the 1860s, according to the designs of the Prussian architect, Schinkel. A network of paths radiates out from the castle. Among them are ‘culminating points’ in the topography which create ideal viewpoints, each part of an intricately constructed network of wider interrelated views. The elements Pückler used were a combination of built and natural: bridges, watercourses, paths, ornamental buildings, woods, arboreta, scattered trees and the inherent geology of terraces, crags and the valley of the River Neisse. He wove all these into a visual picture of the highest aesthetic quality and one characterized by extraordinary simplicity and expansiveness. The landscape thus has a structure that can be appreciated for its aesthetic qualities. It also has strong intangible values – for the place it holds in the evolution of landscape design, and for its influence on what followed. Muskauer Park is a site which straddles the German and Polish border. 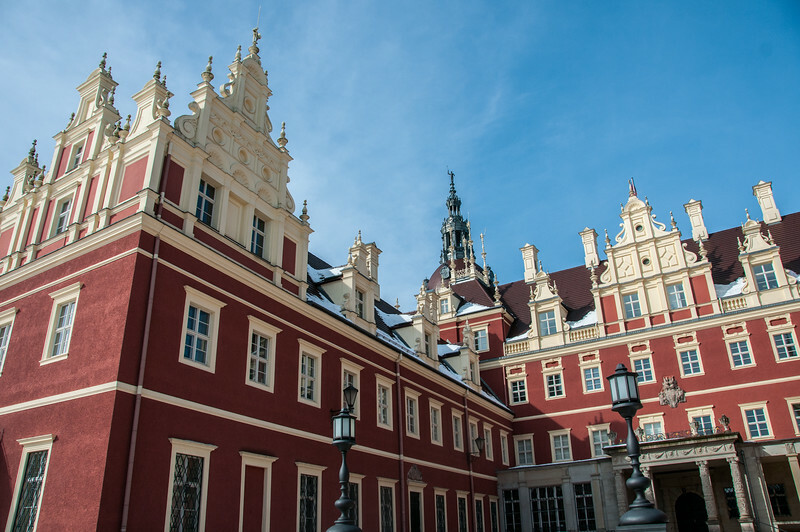 Most visitors will probably be coming to the German side where the palace and interpretative center is, however, the largest part of the park by area is actually in Poland. Like many other world heritage sites in Germany, it was gutted during WWII and reconstructed in the 1990’s. The middle of the park was an active border crossing zone with checkpoints until Poland entered the Schengen Area in 2007. The palace is now a museum and interpretative center covering the life of Pückler and his thoughts on gardening. Muskauer Park is a cultural UNESCO World Heritage Site shared by Germany and Poland. It was inscribed in 2004 and categorized as an urban landscape, as well as a secular structure. This landscaped park was built and developed in the mid-19th century. The entire park covers a total land area of 3.5 square kilometers (Poland) and 2.1 square kilometers (Germany). The Muskauer Park is extended towards the opposing ends of the Lusatian Neisse River. Hence, it encompasses the borders of the two countries. 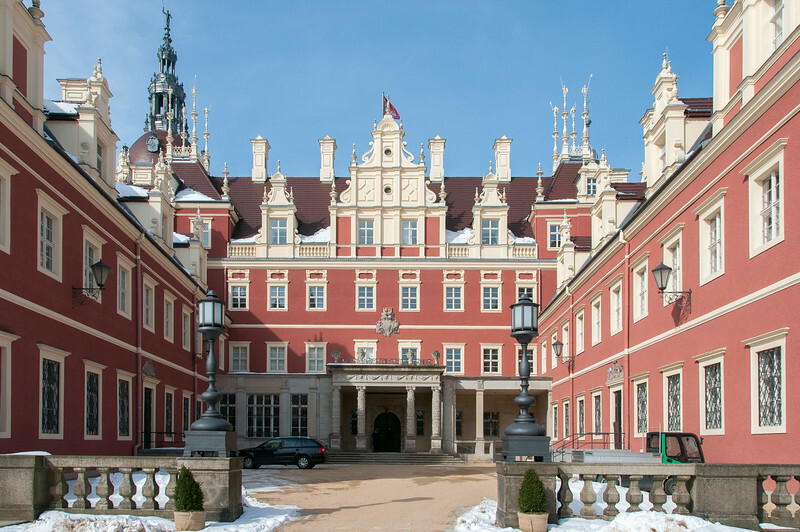 It has a buffer zone of 17.9 square kilometers that includes the German town Bad Muskau and Polish Leknica. The Muskauer Park was founded by Prince Hermann von Puckler-Muskau. He was the author of Hints on Landscape Gardening and the owner of Bad Muskau since 1811. He spent several years studying in England. When he completed his studies, we founded the Park in 1815. Eventually, he established his own school for landscape management. In his courses, he outlined how to construct an extensive landscape park that focuses on nature improvement. When UNESCO recognized the Muskauer Park as one of its World Heritage Sites, it cited that it was an exemplary example of how to countries defied borders to form a cultural collaboration. It also passed two major criteria for what constitutes a World Heritage Site: 1) groundbreaking development in terms of man-made landscape and 2) influence on landscape architecture and its industry. 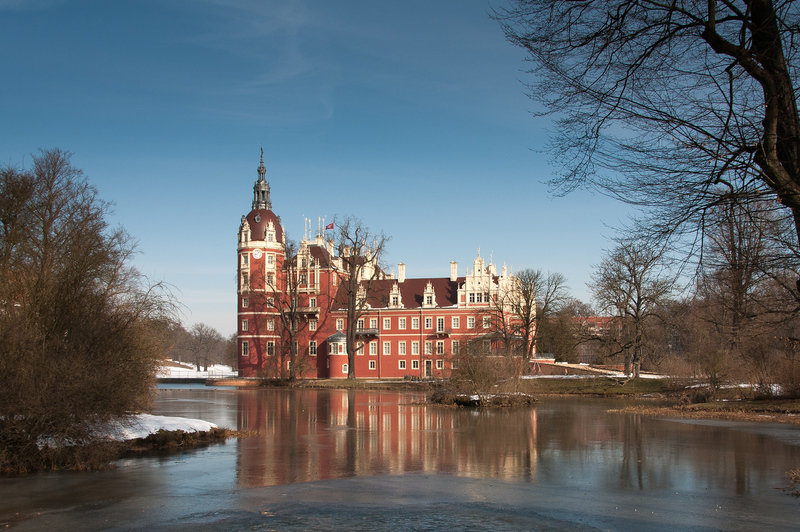 In addition to being a UNESCO site, Muskauer Park is also considered as one of the Historic Monuments in Poland. Muskauer Park is considered as the largest English-style landscaped park in Central Europe. When Puckler designed this park, he modeled it after the English gardens from the early 19th century. This park surrounded the Muskauer Castle (also known as Schloss Muskau) that served as his residence. The primary feature that made this park stand out is how the differently structured areas were connected via winding paths and sweeping vistas. The design also integrated and worked with the natural flow of the Neisse River rather than trying to work through it. Hence, while the park is a man-made structure, it definitely utilized the natural layout of the park’s natural structures and formations to the fullest. Old Castle – a tropical glasshouse located within the grounds of the park. Kavaliershaus – a spa and hillside park within Muskauer Park . English Bridge – this historical footbridge is located over Neisse River and was reconstructed in 2011 after having been destroyed several times in the past. 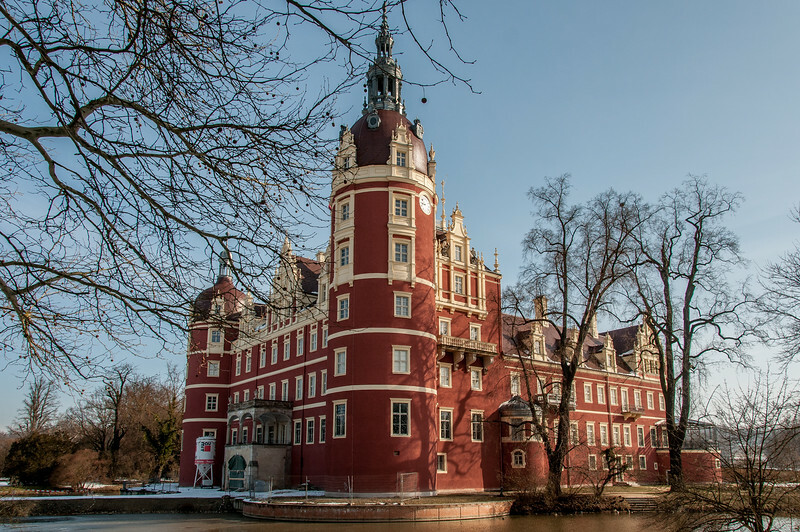 For those wanting to visit and explore more of the Muskauer Park, there are several buildings within the park’s premises that have been converted into holiday apartments. Hence, those who are interested can spend the night at the park. This is a great opportunity to experience and live the way that Puckler did by the time he built this park.